“Heroes of AvangardStroy. Architect Ignatius Milinis ”will be the first monographic exhibition dedicated to the work of one of the most significant Russian avant-garde architects I.F. Milinis (1899–1974). Ignatius Frantsevich Milinis is a consistent adherent of constructivism. His creative positions were formed during his studies at the architectural school in Kiev, where he designed the Builders’ Club in 1926 and the Museum of the Revolution in 1927. In the same year, a project of the Union of Builders in Kharkov, one of the first avant-garde structures, was built according to a project carried out jointly with I. I. Malozemov and Ya. A. Steinberg. 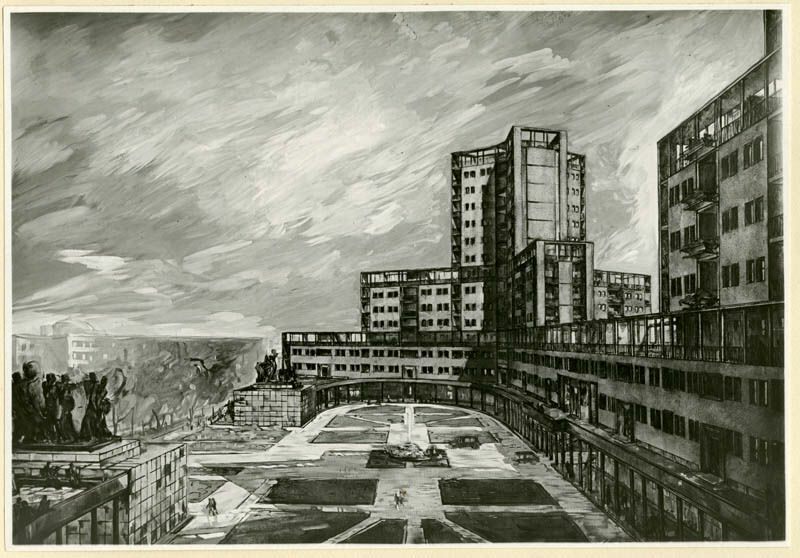 In 1928, a young architect, who had already had practical construction experience, moved to Moscow and continued his studies in the studio of Alexander Vesnin in VHUTEIN. Milinis became close to the ideologist of the Association of Contemporary Architects (OCA) Moses Ginzburg, becoming his co-author and like-minded person. Together they designed and built the Narkomfin communal house in Moscow (1928–1929) and the Government House in Almaty (1927–1928). Ignatius Frantsevich found approaches to the creation of the first district layouts of the USSR. Designing houses and complexes gradually became the main focus in the work of the architect. In the 1930s, he built in the post-constructivist style residential houses ZIL on Ugreshskaya and Velozavodskaya streets. The exhibition will acquaint visitors with photographs, documents and drawings of the architect. The museum also plans to prepare an edition of a book from the series “Collection of the Museum of Architecture named after. A.V. Schuseva.